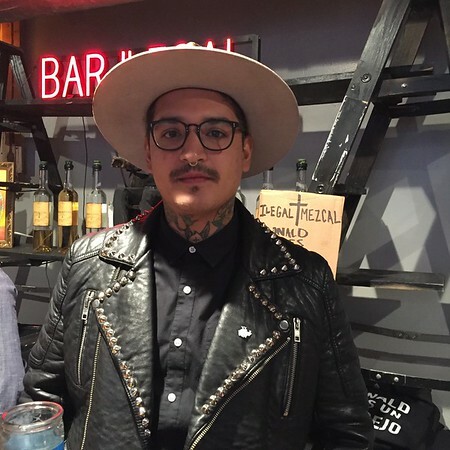 I was recently at Mexico in a Bottle, the “biggest, baddest” mezcal tasting event in North America put on by the Mezcalistas team of Susan Coss and Max Garrone. Gilbert Marquez of Mezcal Ilegal was also there. For those of you not familiar with Ilegal, just know this… they’ve made a name for themselves by almost single handedly being the public leaders of the anti-Trump resistance in Mexico. But that’s not their only claim to fame. They also make some fantastic mezcal at their palenque, based in Matatlán, Oaxaca. I’ve visited there a number of times and in my opinion, it should be on everyones short list of places to visit when you’re in Oaxaca. After a great talk with Gilbert, I of course asked for his 5 Mezcals Everyone Needs to Experience to add to our collection. Rey Campero… NOM-0185X. For Gilbert, just like many other people, he goes for the Jabali from the Sanchez family. Coming in at an ABV of 48%, this mezcal is consistently on everyones short list of great mezcals. Wahaka Mezcal… NOM-0148X. Try the Reposado con Gusano. Gilbert thinks mezcal with the worm, for the uninitiated, generally gets a bad rap. For some, it’s a gimmick. But he says “Accept it. It’s full of identity and flavor.” Coming in at an ABV of 40%, this “fusion” as Gilbert describes it, is going to surprise you. Zignum… NOM-050X. I’ve got to admit, I was caught off guard by this recommendation, but here’s the reason. Gilbert told me simply… “Ya gotta know Dave!” He said it’s like pulling the curtain back to expose what’s there. If you’re serious about being about mezcal, Zignum is a must. Go with their Espadin. Almamezcalera… If you don’t know Mezcales Almamezcalera, you should. It’s a collection of some of the best mezcal in Mexico, personally curated by Erick Rodriguez of Mexico City. Gilbert says check out Erick’s mezcal from Sonora. Produced by Maestro Mezcalero Fidel Lagarda, this mezcal comes in at an ABV of between 49% and 55%. Tosba… NOM-0164X. Made in San Cristobal Lachirioag, Gilbert says try the Espadin, which comes in at an ABV of 42%. Look for a hint of fruit with some mango, papaya and even coffee notes in this mezcal. It’s just nice he told me. So there you have it, 5 Mezcals Everyone Needs to Experience. Most of these are available in the US from a variety of suppliers, or through the links I’ve provided. I’ve found K & L Wines to be and great resource in the west for mezcal and of course, our buddy Ed Draves of Premier Wines in Western New York is also an excellent choice to help you with all your mezcal needs in that area.